After responding to the "calling all BG of old members" thread I started thinking about what it would be like to be a newcomer. Whilst that may seem a little silly, it seems that a category title (or something - single thread maybe ??) that is visible at the very top level to draw newcomers into saying hello might just be a good thing. For much of this evening we have had in excess of 80 guests but only 3 actual members. 98% of 'guests' are spammers. We try to kill them but they seem immortal. So a thread pinned to the board index itself? It would be nice to show it only to those who haven't yet logged in, or have made an account but not posted. Unsure if this is possible in SMF though. Maybe through an addon. Good idea. Include links on how to post images. All exists already. Just needs to be more obvious to the newbies. See, part of the intro process is the handful of "welcome to the site" and "glad to have you" replies to your into post. Seems like having a place where the newb would say hello, but could only be seen by other newbs and unsigneds would be self defeating? Many years ago I was a Mod on an SMF forum, which, If I remember correctly, allowed new members to see but not contribute to the main forum until they had at least 1 post in the welcome part which included a general description, forum rules, how to post puctures and videos and an introduce yourself thread, helped cut out spammers and unwanted content. Not sure if possible here but it sure helped way back then. 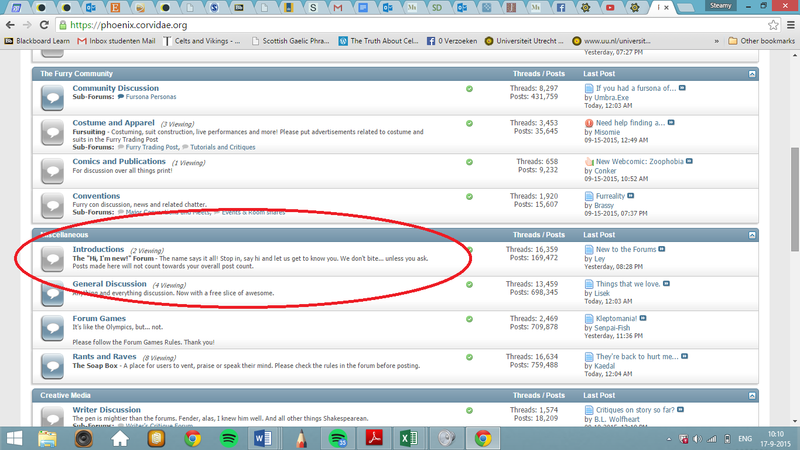 The only kinda example of the type of layout thing I can think of at the mo' is a fishy forum I visit. That is a great idea. No posting until you post in the welcome area and then are cleared to post further. At least all of the spammers would be in one place. I didn't mean the introduction thread (which already exists by the way) I meant the 'welcome post', which could then direct them to the intro thread. I was fairly sure I had to have misunderstood. Thanks! I can see merit in this, but if it had been in effect here I honestly don't think I would have bothered. I suspect I am not alone in this. Moons ago, when I joined my first forum, it was compulsory that you posted an intro, before you got to "see it all" - nowt wrong with it then and nowt wrong with it now - it helps in weeding out teh spamm0rz, tr0l0lz and general time wasters! Glad to see the idea has started to generate some debate on this. Whilst I totally understand the points of view about limiting the spammers etc the idea was to encourage and welcome new members and give them a place to start that was instantly visible. Multiple reasons to try it, if possible without too much effort. let'em see everything. how else would you expect to capture their interest? Imagine a date only occurring after the marriage papers are signed. Just don't let'em post in anything other than an intro post, and then five posts in a subforum later they get full privilages. I am pretty new here and one of the 2% that is NOT a spammer! On another forum I am a member of we have a "shoutbox" which is where we all chat on on-line and instantly. It is for members only who have paid a small fee. Is there such a thing on here? I am still finding my way around but that is part of the fun.